I am currently here as an student, I've just graduated and have applied for OPT status. My husband, a US permanent resident, applied for my green card. My case has been approved with a priority date of May 2005 and is currently with the National Visa Center. According to the Visa Bulletin, they are currently processing cases from August 2003 in my category, so I have about a two year wait. I am currently in the US and I have permission to stay until September 16th 2009 because of my OPT status. This means that by then, I will have approximately 1 year to wait before my case at the NVC is processed. 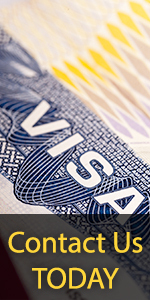 My question is this, besides H1-B, is there any way to extend my stay beyond Sept. 16 2009? Please help....thanks!